I love Fall! I love the changing colors of leaves, the cooler weather, the orange pumpkins and yellow mums. God’s splendor explodes with color all around. My favorite time is sitting on the deck and watching nature prepare to go into a deep sleep. It’s so beautiful and peaceful. 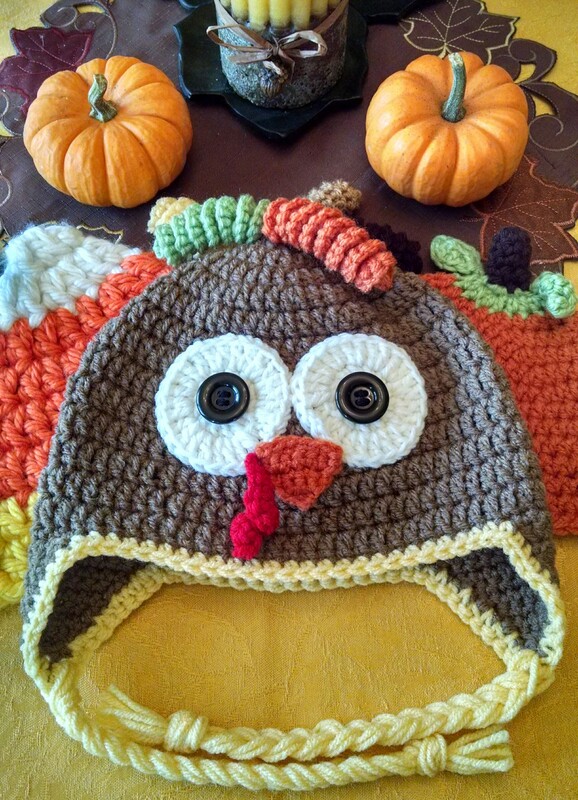 Below is a picture of a few holiday hats ready to wear for the cooler temperatures. They’re fun and you can use them as an accessory to a Halloween costume. Sizes range from Newborn to Adult. Let Nesting By Robin supply your whole family with a holiday hat. It would make a great picture for a Christmas card! Can you believe it? Fall is here! Be sure to check out the Autumn Shop! Minion, monster and character hats available too! Next Post SAVE THE TA-TA’S!